Since taking over as general manager of the Tampa Bay Lightning, Steve Yzerman has made it a point to control his available cap space by all means necessary. So, in a world where the bridge deal is slowly dying off, Yzerman has worked the system to keep his best players under reasonable contracts before signing them to long-term deals. Heading into the 2018-19 season, the Lightning have some of the top talents in the NHL playing under bridge deals or on contracts that are at, or below, their expected market value. While some of the bridge deals will be expiring in the 2019 offseason, there’s no fear of the franchise’s core breaking up with Yzerman working overtime to sign these players to reasonable long-term deals. Despite being signed to a $5.3 million contract through the 2021-22 season, Ondrej Palat is one of those players that you rarely hear complaints about from the Lightning fan base. He may not be the flashiest player on the roster, but he brings that necessary defensive edge that fills a team need perfectly. 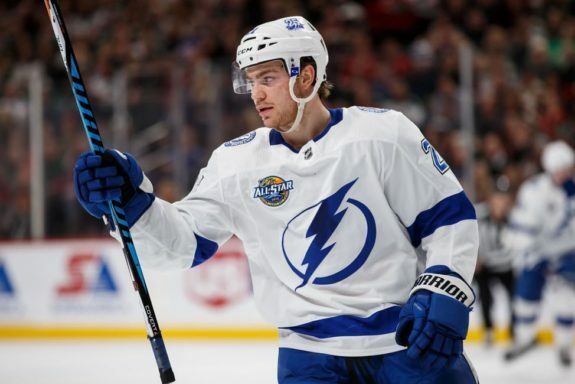 He is a swiss-army knife player, who could be played on the top-line alongside Steven Stamkos in a supportive role, or on the third line as a grinder meant to shut-down an opponents offensive threats. While this utility doesn’t come to Tampa Bay at a cheap price, what Palat brings night in and night out is invaluable to the organization. When he isn’t on the ice, the Lightning struggle in their defensive zone and are, simply put, a worse team overall. Sure, he may not receive an All-Star nomination for this play, but there are few players more important to their team than Palat at his current cap hit. It’s easy to forget that Andrei Vasileveskiy is still on the bridge deal he signed back in 2016 after the stellar play in his first year as a full-time starter in the 2017-18 season. Entering the 2018-19 season, Vasileveskiy will be making $3.5 million in the final year of that contract — a relative steal for a goaltender of his caliber and potential. Even if he receives a significant raise on his next contract, Andrei Vasilevskiy will still be on one of the best contracts in Tampa Bay. (Amy Irvin / The Hockey Writers). However, with only one year left on his contract, Vasilevskiy is due for a big raise next offseason. 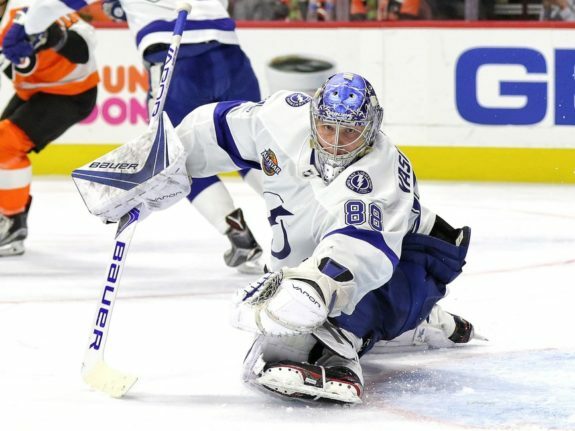 Given recent market trends, he will likely cost the Lightning at least $6 million a year, which is reasonable if he can continue his Vezina-caliber play. If that continues, there will be few players in the NHL who are more vital to the success of their team than he will be to Tampa Bay. On his current contract, though, he simply is one of the best bargains in the league. When Nikita Kucherov inked a three-year, $14.3 million bridge deal back in 2016, there was little doubt that the Lightning were getting great value for their budding star forward. At that time, Kucherov was not only seen as one of the best players on the Lightning’s roster but he still had room to grow with the franchise. Since signing that deal, Kucherov has gone on to establish himself as not only the Lightning’s top forward, but one of the truly elite talents in the entire NHL. He was rated as the number one winger by NHL.com this year and is expected to be a top nominee for the Hart Trophy as well, all for a $4.76 million cap hit. Players who can score 100 points a season are rare, and his newly signed eight-year, $76 million contract showcases just how valuable those players are. However, given the current contract climate of the NHL, his $9.5 million cap hit will be a relative steal should he continue to raise his game and produce 100 points a year. Since the Lightning selected him second overall at the 2009 draft, Victor Hedman has met or exceeded every expectation placed on him. As a Norris-winning defenseman and the definitive top defender on the team, Hedman plays an invaluable role with the franchise… all for only $7.875 million a year. While this is far from a value-signing (he is the fourth highest paid defenseman in the league, after all) what he brings to the Lightning night in and night out is worth every penny. Without Hedman, the Lightning would have a, at best, mediocre defensive core. 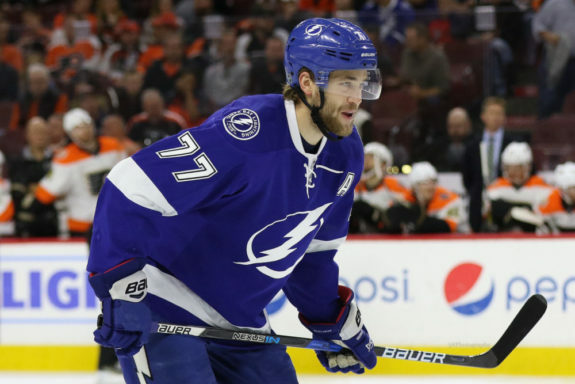 Sure, they have talented players like Anton Stralman, Mikhail Sergachev and Ryan McDonagh on their roster, but Hedman is the glue that holds them all together. His play anchoring the top defensive pairing for 20 to 25 minutes a night would be virtually impossible to replace for an entire season. When you consider everything he brings to the franchise, the eight-year, $64 million contract he signed in 2016 is a relative bargain, especially to a team in desperate need of his services. Given the improving defensive core around him, Hedman may even be able to improve his game in the future, meaning that the best years of his contract may still be in front of him. It’s worth noting that the Lightning have many other great players under reasonable contracts heading into the 2018-19 season. Most notably, Steven Stamkos and his $8.5 million cap hit is a solid contract given when he was signed, but his struggles with injuries kept it from being one of the team’s best. Should he have another healthy, productive season, though, one could easily say that his cap hit is among the best money spent in the NHL. Just the fact that one can argue who deserves to be on the Lightning’s best contract list is a real testament to the work Yzerman has done in Tampa Bay. While he may not always get it perfect, he still has managed to keep his core players together despite dealing with the constant cap crunch.